Northwestern theatre’s color-conscious casting policy aims to diversify the stage. But sometimes, it shuts out actors of color instead. That was just one of the fourth wall breaking lines of dialogue written by Rishi Mahesh for AME%/ X72#3ICAN MADE, a play produced by Spectrum Theatre Company in January. 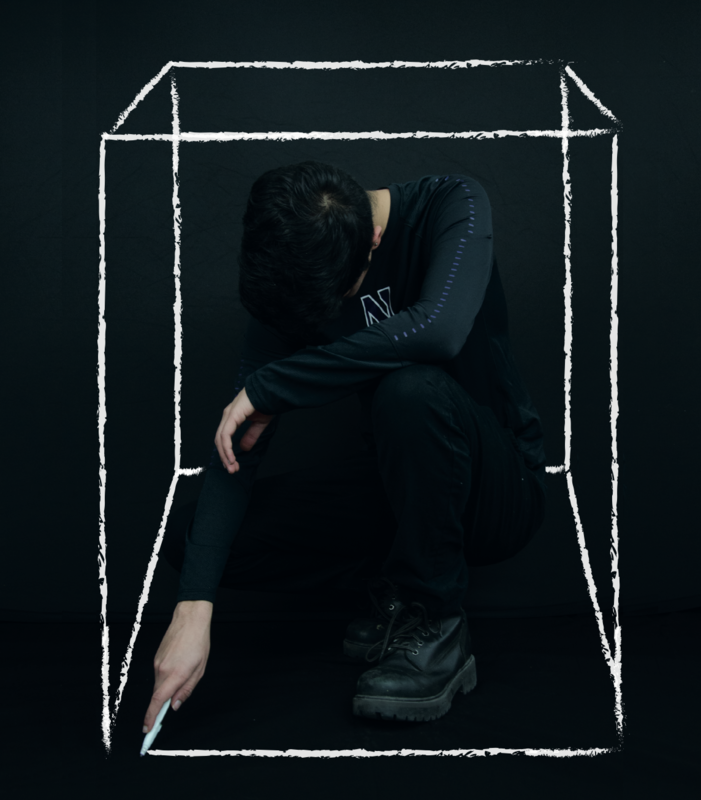 The play was born out of Mahesh’s desire for students to watch something entirely written and created by people of color. The truth of the theatre scene is that, on any given night, the ratio of a Northwestern audience consistently skews white. But this lack of diversity doesn’t just exist in the audience. In fact, out of the three productions featured that night, AME%/ X72#3ICAN MADE was the only one with a non-white actor. With fewer students of color, audition rooms end up overwhelmingly white — and this carries to the stage. Mahesh, who is Indian American, has faced the challenges of colorconscious casting along with the other handful of theatre majors of color. Color-conscious casting, a common practice at Northwestern and in the greater theatre world, is a policy intended to avoid whitewashing roles meant for people of color. For example, if a script includes a Latinx role, then the actor casted must be Latinx. In theory, this is beneficial because it prevents white actors from being cast in roles clearly meant for specific nonwhite ethnicities. However, theory and practice don’t always align. In an environment where the majority of writers, directors and actors are white, color-conscious casting often works against people of color. When roles don’t prescribe a specific race or ethnicity, the casting tends to presume whiteness. This leaves people of color with limited options for potential roles: they’re often only cast in roles specifically designated as “ethnic,” but there are few of these roles to begin with. RTVF major Ariella Khan is Pakistani, and family members have often told her she’s lucky to look ethnically ambiguous. Khan voiced the concern other actors of color face when cast for an ethnically-specific role: Did I get this because I’m good or because I look a certain way? Khan’s frustration with the word ‘ethnic’ has reached new heights during her time at Northwestern. Her screenwriting work usually features Pakistani or Pakistani American characters, and when she shares it in creative writing classes, students often respond, ‘Is that what happens over there?’ or, ‘That’s so ethnic.’ “Don’t call it ethnic. I don’t understand that. Everyone has an ethnicity. 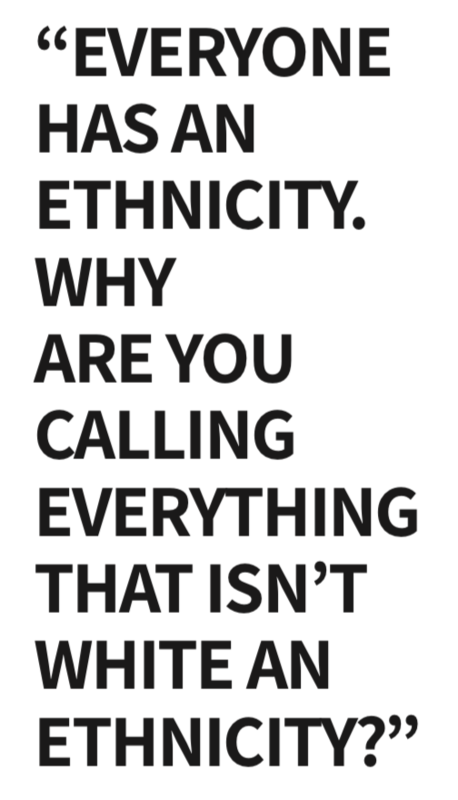 Why are you calling everything that isn’t white an ethnicity? What does ethnic mean?” Khan says, her voice rising in exasperation. Mutual frustration brought Khan and Mahesh together across two different majors to create AME%/X72#3ICAN MADE. They used the show to start a conversation about race and color with biting remarks on how tricky it is to navigate these conversations at places like Northwestern. As actors and writers of color, Santos and Mahesh both acknowledge the double-edged nature of the policy. During fall quarter, Mahesh was cast as a Latino man in the play “Earthquake Chica.” The color-consciousness of this decision only extended to Mahesh’s skin color. While student directors make the effort to visually do justice to roles, the commitment to accuracy sometimes ends there. But Santos, who was on the production team for the show, concedes it was a tough call to make. “It’s a slippery slope because you want to tell these stories about Latinx culture, and it just gets iffy because sometimes the story takes priority. But he learned [more] Spanish and he did it justice,” Santos says. But the problem at hand is larger than color-conscious casting. It’s also about assumed whiteness — unless otherwise specified on call-back sheets, characters are thought of as white. To exacerbate this problem, actors are divided into two broad categories: white and non-white. This blunt dichotomy risks normalizing whiteness and othering everyone else. Even though Santos had no issue with Mahesh’s casting, she faces the same dilemma every time she walks into an audition room. “Sometimes you’re just categorised as nonwhite. I’m a Latina, and I’m told to play a Middle Eastern person. I have to ask myself, is that okay and appropriate? It becomes about how I look versus what I actually am,” she says. Despite its intentions, color-conscious casting runs into this problem when diversity is more of a buzzword than a reality. The roots of the problem don’t just lie in the lack of people of color auditioning but also the material selected and written for them. With the conversation focused on casting, play selection ends up ignored as another factor in representation of actors of color on the stage. Mahesh now makes it a point to audition with monologues written by Indian playwrights because he wants to show students that people like him exist in the canon of theatre. “By putting their names in your head ... maybe that room of directors will use these people one day,” he says.